Where is Melbourne's Best Costume Shop? If you're one of those people who dread receiving an invitation to a costume party, perhaps all you're missing is access to a great costume shop. 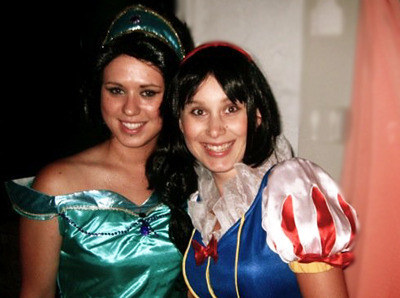 There are some great ones around Melbourne where you can hire or buy costumes for just about any themed occasions. Whether you're looking to channel Minnie Mouse, or a Roman centurion, you're certain to find a costume to suit your needs. We've tracked down some of the available stores, but we want your help in naming Melbourne's best costume shop. The Costume Factory have stores all over Melbourne, and they have a great range of supplies to match any theme. Whether you're looking for costumes from Santa to Sailors, or if you just need something to put the finishing touches to your homemade costume. They have a great range of full costumes, as well as wigs, beards, makeup, and accessories. They also have the ability to create custom made costumes, which is great if you're looking for a team mascot, or an office Santa costume. Whatever your needs, the Costume Factory has something to offer you. Another great place to check out is Bam Bam Vintage. They have a great range of character costumes from Snow White to Spider Man, as well as outfits from all your favourite eras from the 1920s to the 1980s. Bam Bam is not just a costume hire shop, but also a vintage store. This means that you'll also have the chancee of putting together your own costume from their great range of vintage threads. Cellar Door Costumes have everything from superheroes to pirates, nurses to celebrities. You can do all your costume research without leaving the office, choosing your costume from their online range, and then picking it up for the occasion. They take all of the hassle out of choosing your costume so you can just pick it up and enjoy the party. So where do you find the best costume options? Are you a fan of the ready made outfit, or do you like to piece yours together yourself? Let us know where we can find the best costume shop in Melbourne, and never have a bad costume again. I have been to nearly all the costume shops in Melbourne and the best by far is Masquerade Costume Hire melbourne. They not only hire costumes but also sell heaps of them too. I am a bit of a star wars fan and was amazed at the range they have. Nothing was too much trouble. They made up a new costume for my friend because she wanted something extra special for her party. I came away with a wicked authentic Storm Trooper costume to hire. I loved it so much, I have ordered one from them to buy. A must go is COURT JESTER FANCY DRESS HIRE, there range is extensive and they sell sooooo much costumes and accessories, u will find everything there and the girls are so helpful and fun to work with !!! Wow, ive found the biggest one in melbourne, its court jester fancy dress they have moved and its massive, there range is massive and they are the cheapest costume shop in melbourne that ive found. I have tried lots of the costume shops around Melbourne. My Favorite one is in Kew. Masquerade costumes. They always have something new to look at. they sell all the costumes you can buy online plus they have amazing one off costumes that they make in the shop. You can hire them for about $70. all the accessories came with the costume. Wig, boots, jewelry and all the rest. They are really friendly too. I have reccommended heaps of my friends to go there. They have all been happy. I have to agree with the masquerade costumes vote. I got my muck up day costume from them last year and have been back this year for some other parties. Best costume shop by far. Hi Natasha, I think this is a wonderfull thread to start and Im shocked there is no enthused list of answers. Come on people, help us Melbourne newbies out a bit! I'm from the South Eastern suburbs and always go to "Miss Kitty's" in Hughesdale or "The Fancy Dress Party Place" in Elsternwick - both are great! Best off they r reasonable price for outfits to keep & there hiring rate is super cheap ! !